Sasha Mosky – Blog 2: A bag for you bag? Reflections on waste and resource in Delhi. Becoming familiar with a new place involves learning about new cultures, trying new food, and becoming familiar with a new locality. For me, getting to know a new place also involves an understanding of how actions indirectly or directly intersect with local people and ecologies. More specifically, this means reflecting on the ways in which my presence in a place requires the support of local people as well as the environment. Although Victoria and Delhi are not easily comparered, the way in which I situate myself to resources, the environment and more specifically waste is a useful reflection.  When I consume food, water, or commercial goods at home, I am able to dispose of the excess without much effort; throwing something “away” in Victoria means it is invisible from the majority of the population. I recognize the privilege that comes along with having access to facilities that quietly transform my excess into something new or hide it from sight; composting facilities, recycling plants, the ocean, which collects and recycles grey water, and individuals, who take quiet actions to reduce waste, operate almost invisibly in Victoria, but are essential to insuring a clean city. Moreover, Victoria’s own economy of informal recyclers insure glass and plastic bottles are removed from solid waste streams and are recycled at appropriate facilities. Although I try to manage my excess by recycling and composting, my relationship to waste does not require much thought once it leaves my hands. This is because I was taught that when I throw something away, it just disappears; only later in life did I learned about the complex structures in place to rapidly remove visible excess from both public and private spaces. 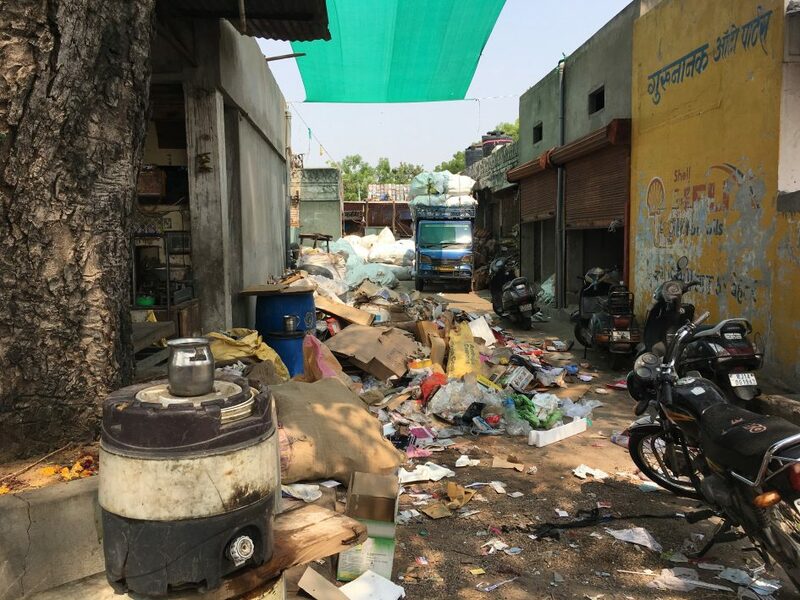 Although the privileges that I carry still distance me from the waste I produce in India, living in Delhi has challenged me to think more critically about the impacts of consumption. Products sold in disposable packaging have recently emerged on mass in the Indian market. Corporations profit from selling cheap goods to India’s massive population, while the environmental and social cost of this new system is often externalized onto local governments, local communities, and the environment. This narrative however, is complicated by the millions of people who have recently moved into cities and who sustain themselves and their dependents by selling cheap packaged goods, as well as individuals who recover recyclable materials as their main form of income. This process is visible in Delhi. Delhi is home to three towering landfills, where organic materials, plastics, industrial waste, medical waste, and heavy metals decompose, burn, and leech into the environment. Besides the environmental impact of this waste management system, hundreds of informal recyclers, whose livelihood is centered on collecting recyclable materials from landfills and the city streets, are subject to precarious, often deadly, working conditions. Moreover, formalized garbage, recycling, and composting services, which transport waste to landfills, are not universalized within the city. Therefore, waste is highly visible in public spaces and around peoples’ homes, particularly in less economically affluent areas. As part of my internship at PRIA, I have had the opportunity to visit informal settlements. Here I had the opportunity to experience firsthand how visible waste is. During these visits, I listened to community members explain why waste management is an issue within their settlement and what they are doing to address the issues. Here, I am reminded that every bottle of water I am given, or plastic cup I accept during my field visits, will likely stay in the community. This is because both notified (formally recognized by local government) and non-notified settlements are often excluded from formalized waste management systems. PRIA’s work seeks to change this situation by strengthening the capacity of citizens to demand services from local government. Many settlements have been successful in demanding services, and now receive waste removal, piped water, and other basic amenities from local government. Listening to people who live in close proximity to their waste and who have struggled to access basic services from local government has made me highly sensitive to the ways in which I consume. More specifically, it has become difficult to throw something “away” without reflection, because to me, “away” has transformed into a highly visible space. As an individual I try to consume less and avoid unnecessary packaging, but plastics and disposable packaging have an aggressive presence and are often hard to completely avoid. Every item I purchase, eat, or drink will eventually be processed by my body, other people, or absorbed into the environment. Getting to know Delhi has been more than critiquing my own consumption habits. It has also involved appreciating acts of kindness from others and noticing individual actions of environmental care, such as individuals who carrying reusable shopping bags, plant new trees, and carry trash until it is possible to dispose of it responsibly. Even though the production of waste is normalized within Delhi, I can find inspiration in everyday, mindful actions to reduce waste. Delhi supports over 28 million people as well as thousands (maybe millions) of mature trees, monkeys, insects, birds, dogs, and cows. Waste management does occur in the city, regardless of whether it’s formalized or not, and people, plants, and animals co-exist within the systems that are already in place. Understanding my position in India has involved unpacking these relationships by examining how I contribute to and require support from my new environment.